2012 is over and a new year has begun, and ‘tis the season for making plans, reviewing past projects and kicking off new ones. With that in mind I spoke with a number of designers, collaborators and curators to get a sense of what they’re planning and hoping for in 2013. Some have kicked off the year with major projects, others are putting the wheels in motion for events later in the year, but it’s clear from all who I spoke to that 2013 will be filled with much design activity. The first date in Ireland’s design diary this year was Showcase, connecting Irish designers, craftspeople and giftware producers to local and international retailers in the RDS in January. While visiting I met with Rosemary Ryan, Business Development Manager at the Malthouse Design Centre in Dublin, where young designers have access to studio and workshop space along with mentoring and advice in a collaborative environment. The Malthouse, with support from the Crafts Council of Ireland, launched a range of new products at the event. Following workshops in 2012 led by John Jenkins of Heals London four design studios and collaborative teams developed new furniture and lighting products which they will begin distributing this year. A particular highlight of the range was Parlour Lighting (pictured top), designed and produced in Co. Down by Donna Bates of design studio I Do Cartwheels. Made from repurposed large glass flasks from milking parlours (Bates grew up on a dairy farm), the range of pendant and table lamps are striking, and manage to take elements of rural life and create from them objects that are very contemporary with a real industrial feel. 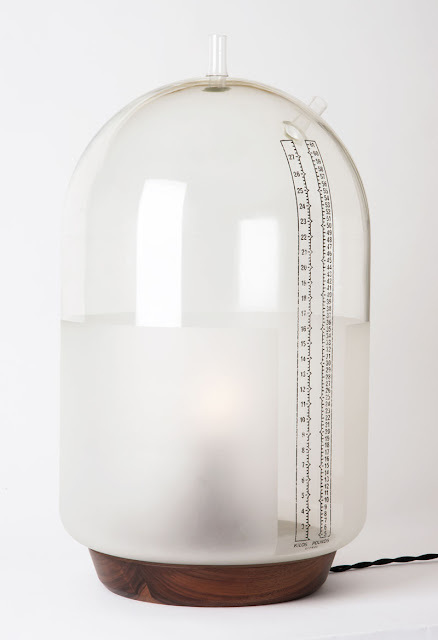 The Parlour Lighting range is currently available from the I Do Cartwheels showroom in Co. Down, and will be available to buy from Lost Weekend in Dún Laoghaire in the coming months, as well as through idocartwheels.com. Meanwhile, the Malthouse Design Centre will continue to nurture, develop and promote design through workshops and events throughout 2013. Before heading to Showcase I called into graphic design studio Conor & David in their new(ish) abode on Dame Street. Conor Nolan and David Wall have been working together since 2006 and in that time have built up a substantial portfolio of work for a considerable range of clients, including (but not limited to) various arts and architecture organisations. Over those six years they’ve learned a lot from that client work, while more recent self-initiated projects have given them a valuable insight into the client’s perspective, something they see influencing how they work in the future. After a busy year – 2012 saw Conor & David speak on the mainstage at OFFSET and in collaboration with Bobby Tannam and Rob O’Reilly set up Typegroup, a foundry and type-production facility – the studio is looking forwards with fresh enthusiasm to pursue and produce the work they enjoy best. 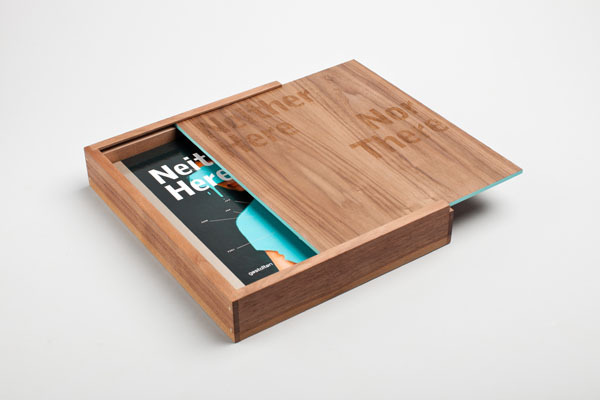 A recent project completed by the studio was Neither Here Nor There, a book exploring the artwork of popular Irish children’s writer and illustrator Oliver Jeffers (pictured above). Working on such a large publication has affirmed for Conor & David their love of publication design, so it is with this in mind that they are looking to focus on that in 2013. Neither Here Nor There has encouraged them to pursue a working relationship with new Irish publisher ROADS, who will release a series of classic novels this year, all designed by Conor & David. With the rise of e-books in mind, the studio aims to create printed items that are beautiful and desirable objects to have and hold on to. 2012 was also a busy and productive year for Shane O’Donoghue and James Earley of Curate & Design, whose Paul Rand retrospective exhibition in Ebow Gallery was for many one of the highlights of Design Week 2012. When I contacted them first thing in the New Year I was delighted to hear that planning has already begun for their next exhibition, which they aim to mount in a Dublin city centre location in autumn of 2013. Keeping with the graphic design thread started with the Rand exhibition but looking at developments a little closer to home, Curate & Design have begun to put the wheels in motion for an exhibition exploring the work of Dutch-born graphic designer Jan de Fouw and the influence that work has had on Irish graphic design. 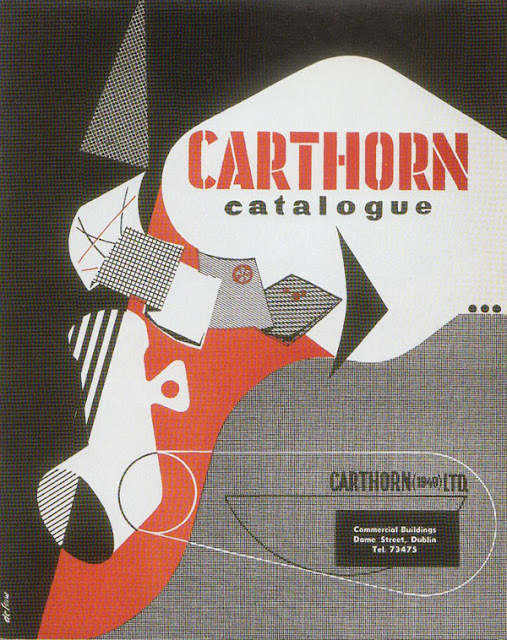 Born and trained in the Hague, de Fouw settled in Ireland in 1951, one of a number of Dutch graphic designers producing strong commercial work and setting the scene for Irish graphic design’s subsequent development. Producing exhibitions that can educate people in aspects of design history and provide access to work of international historical importance has been key to Curate & Design’s work so far (before 2012’s Paul Rand show, they presented an exhibition of the work of iconic German industrial designer Dieter Rams in 2011), but placing that sort of work alongside contemporary Irish design will be a new departure for the team. 2013 is an important year for Ireland as a whole: we hold the EU Presidency for the first six months of this year and Failte Ireland’s The Gathering is well underway. 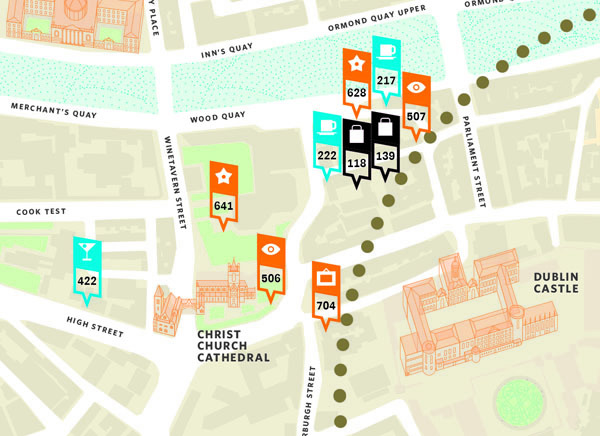 Design is being given pride of place amid these events through a number of Pivot Dublin initiatives, including a small exhibition designed by CAST Architecture and a cultural map of Dublin designed by Conor & David. The 2013 edition of OFFSET has been announced with early bird tickets currently on sale, while work is no doubt underway for next autumn’s Open House events and Design Week. At various scales designers all over Ireland are plotting and scheming for what will hopefully be a successful – and enjoyable – year, and I for one am looking forward to seeing it all play out.